Have questions on which loan option is best suited to fit your needs? A The Mortgage Hub Loan Officer has your answers! Working with The Mortgage Hub. 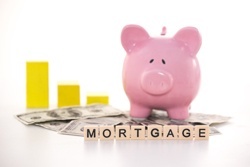 The Mortgage Hub offers some of the most competitive rates in the Nation! We offer a variety of loans. The Mortgage Hub will find you the loan that is right for you!! !